"Almost every church I visit recognizes both the challenge and opportunity of raising up and empowering leaders. That's why I'm excited about this new book from Dave Ferguson and Warren Bird. They help us unpack five essential practices to grow our leadership and the leaders we are mentoring. For the church to multiply, it MUST multiply leaders. Hero Maker is for every influencer who knows the harvest is plentiful, but the workers...and leaders...are few." Multiplication thinking means shifting your focus from your own leadership to multiplying and developing other leaders. When you learn how to invest your time and resources to multiply leaders, you're able to more effectively build God's ministry - not just your own - and maximize the gifts and resources God has given you as a leader. This book provides you with all the principles you need to begin thinking in terms of multiplication, and equips you with invaluable tools - like the "Dream Napkin" - to apply multiplication thinking to your personal ministry. You'll start maximizing your ministry efforts immediately with multiplication thinking! Permission Giving means seeing the leadership potential in those around you, and giving them permission to engage in leadership opportunities. It means saying "yes" to their potential, to their gifts, and to the way God is working in them. When you lead with a "yes," you give others a platform to fully engage in God's mission. In this book, you'll learn what permission giving can look like in your ministry, why we are often afraid to give permission, and how to shift your default response from "no" to "yes." With practical tools like "ICNU conversations," you'll be equipped to implement permission giving in your ministry with remarkable results! Once you learn multiplication thinking, you can teach others how to think the same way. Disciple multiplying means making disciples who make more disciples. When you begin doing discipleship in this way, you extend your impact far beyond your church or city. This section of the book is the most crucial, because making disciples is at the heart of the ministry God has given us. We'll show you how to make disciples who make disciples based on Jesus' own ministry with the 5 steps of apprenticeship. Many leaders are simply trying to fill slots in their ministry, but hero makers are all about gift activating. This means developing the gifts that God has given people and sending them out for ministry. Activating the gifts of others enhances your own ministry and creates opportunity beyond your ministry. In this section, you'll learn what it means to commission leaders for ministry and the two key components of gift activation. God blesses your ministry when you affirm the gifts that he has given and commission leaders for the mission he calls them to. It's important to think about how to grow your church, but the only thing that ultimately counts is advancing God's kingdom. Kingdom builders shift their focus from measuring attendance to measuring how effective their disciples are. Kingdom building is the only way to have a successful ministry - in the way that God defines success - how much his kingdom is advanced. This final principle of hero making challenges you to ask yourself, "How will we multiply God's kingdom?" And this book will provide you with powerful kingdom-centered multiplication practices and tools. We'll also teach you two ways to measure kingdom building so that your ministry never stops being effective. Get 1 or more copies, and you’ll receive bonus resources to help you multiply leaders in your ministry absolutely free! Enhance your learning with free Hero Maker resources developed to help you and your friends become Hero Makers. Keep track of what really matters with the The Hero Maker Guide to Keeping Score. Plus, get the discussion guide and teaching videos from Dave Ferguson that will help you understand and apply the 5 essential practices for leaders to multiply leaders. 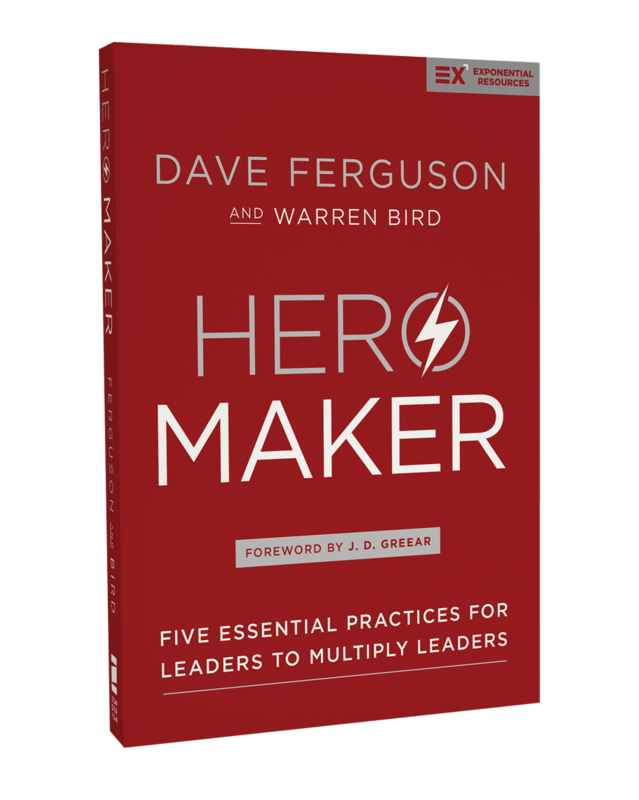 To get these free bonuses, order 1 or more copies of Hero Maker and email an image of your receipt to daveferguson@communitychristian.org. Become a Hero Maker with countless practical tools and helpful examples, so that you can start multiplying leaders today! Bulk pricing has been set up on the ChurchSource page. Churches can order through the website or by calling 1-800-727-3480. 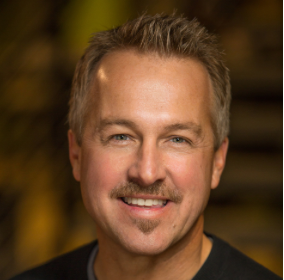 Dave Ferguson is an award-winning author, founding and lead pastor of Chicago’s Community Christian Church, a multisite missional community considered one of the most influential churches in America. Dave is also the visionary for the international church-planting movement NewThing and president of the Exponential Conference. Dave and his wife, Sue, have three terrific children and live in Naperville, Illinois. 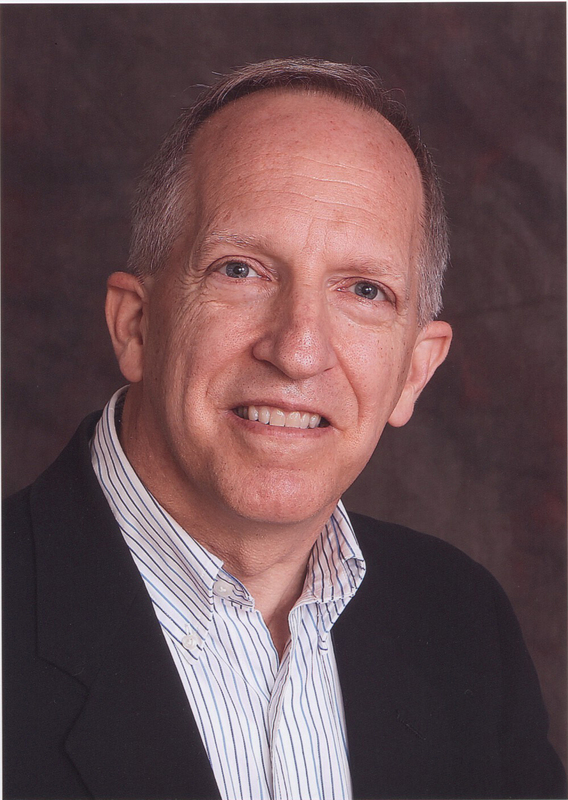 Warren Bird (PhD, Fordham University) serves as a primary researcher and writer for Leadership Network and has twenty years of church staff and seminary teaching experience. He has collaboratively written twenty-nine books, all on subjects of church health or church innovation for leaders. Warren and his wife live just outside of New York City. Ready to become a Hero Maker?